Home > Publications > The prime minister’s book list: what should Malcolm Turnbull read this summer? The prime minister’s book list: what should Malcolm Turnbull read this summer? 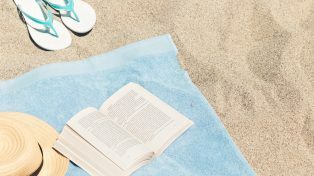 It’s been a testing year for politics but a wonderful year for books – and to help the prime minister make the most of the holiday season, the Grattan Institute has once again collated a summer reading list for him. The 2017 selection encompasses fact and fiction, geopolitics and kitchen-table gossip, cerebral sustenance and frivolous fun (and sometimes that’s all in the one book). We looked for books that we felt were especially relevant in turbulent times; books that said something new and interesting about Australia, the world and our future. Books that the PM – or anyone really – would do well to read. Most of all, we were searching for cracking good reads. Half a century after Donald Horne’s influential (and ironically titled) The Lucky Country, the social researcher Rebecca Huntley set out to paint a portrait of modern Australia. The result is Still Lucky: often funny, always respectful, remarkably intimate. Huntley has been the fly on our sunburnt country’s wall. Her insights penetrate because they are informed by almost a decade of sitting on the living-room couches and around the kitchen tables of the nation, listening to Australians talk about what matters to them. Despite the subtitle – “Why you should feel optimistic about Australia and its people” – Huntley’s findings are not all sunny. Too many of our women are exhausted; they are underpaid and overworked, in the home as well as the workplace. Too many of our men are lonely; it turns out that Aussie blokes are not that good at mateship. Michelle de Kretser’s latest novel asks the biggest question of all: what is a life well-lived? According to De Kretser, it’s certainly not the shallow virtue signalling of rich, progressive Australians who tweet about causes, and host parties where all the finger food is “provided by a not-for-profit catering group that employed only asylum-seekers [serving] Guatemalan empanadas, Burmese dumplings, Iraqui croquettes and Eritrean fritters that all had the same texture (paste), the same colour (mud), the same flavour (nothing) and came with the same tongue-stripping sauce”. There are better ways to live. The book’s final two characters meet as children in Sri Lanka and reunite as young adults when Bunty, who has been shipped to Australia after a teenage pregnancy, rescues Christabel, impoverished after her father’s death. The two live the rest of their lives together; they are never lovers but “thoughts would pass between them. Also: a comb, socks.” They are poor: Christabel leaves the oven door open to keep warm in winter; Bunty descends into dementia, unintelligible apart from her calls for “Come Olly Faithful” – unclear whether she’s remembering school carol singing, or her dog. But each cares for the other. And that’s a life well-lived. Since the 1970s, economists have argued that governments must choose between equity and efficiency. But America today faces the worst of both worlds: the economy isn’t growing and income inequality has reached record levels. What went wrong? And how can Australia avoid going the same way? In The Captured Economy, Lindsey and Teles propose a new way of thinking about the old equity-efficiency trade-off. Using case studies from finance, intellectual property laws, occupational licensing and housing, they chart how America incentivised rent-seeking and created regulations that protect the wealth of its most powerful groups. Their evidence shows that governments can create both economic inefficiency and greater inequality when wealthy special interests have too much influence over the choices politicians make. This story could hardly be more timely: the opposition leader, Bill Shorten, has put Malcolm Turnbull on notice that inequality will be a key battlefield in the next federal election campaign. Lindsey and Teles’s book shows that both sides of Australian politics should care about the health of our democratic institutions, because both the economy and society suffer when the voices of the few dominate the voices of the many. Energy is a topic that is all too familiar to the prime minister. But rather than arguing about the short-run details of energy policy, this book by the renowned energy expert Dieter Helm unpacks what the long-term trajectories of energy economics might mean for commercial strategies, geopolitics and carbon emissions. We can expect climate politics to evolve rapidly. Big Tech will counterbalance the lobbying power of Big Oil. Saudi Arabia and Russia may be big losers, with their unstable social foundations, and their budgets and economies heavily dependent on high oil prices. Shale gas has reduced energy dependency in the United States, which is likely to benefit most from whichever technologies win in the new energy world. Finance may have more of a progressive influence, especially as carbon revenues offer solutions to government budget problems. The commercial implications of the fossil fuels burn-out differ between sectors. Oil and gas companies may do best from a burn-out-and-exit strategy. Existing electricity players will need to be unusually agile to survive. A plethora of new entrants are likely when much more electricity generation has zero marginal cost and is located closer to the customer’s home. In Helm’s hands, these ambitious ideas are explored with clarity and at pace. It’s an exciting read. Sport is part of Australia’s national psyche. So is fairness. Unfortunately, the two have not always run side-by-side. “When it comes to fairness, sport talks a hell of a good game – the trouble is it only talks for half of the population,” sports journalist Angela Pippos writes. Breaking the Mould, subtitled “Taking a hammer to sexism in sport”, reminds us that sports lovers and elite athletes come in both genders, despite the focus of Australian culture and media on just one. Pippos brings us the stories we’ve been missing out on – the battles, rebellions, and victories of women in sport. She recognises the cultural roots and circular, chicken-and-egg arguments that have held women back in male realms – and pushes them aside. She shows, instead, how Australia’s women athletes are “holding up their end of the bargain” by breaking new ground and winning on the world stage. It’s time we sat up and took notice. These days, it isn’t hard to do. There have been many recent breakthroughs: the launch of the Women’s Big Bash and AFLW competitions, Michelle Payne’s Melbourne Cup win and new pay and TV deals for sportswomen, to name a few. In 2008 it was still possible to write that, “Football is men’s business … and the attempts to feminise it are ideologically driven, nasty and envious attempts at a weird kind of retribution”. In 2016, more than 1m people watched the women’s match between Melbourne and Western Bulldogs, making it the highest-rating Saturday night AFL game of the season. The prime minister may be less of a cricket tragic than some of his predecessors but this is more than a sports book. It’s an irresistible story of how committed people brought about a cultural revolution to make Australia a better sporting nation. Alfred Deakin didn’t play organised sport. He was “a little aloof. He was also enormously well-read, in philosophy, theology, comparative religion and the world’s literature, including poetry”. He was also one of the founding fathers of Australia’s federation and prime minister three times, during the new nation’s tumultuous first decade. Once upon a time he was a hero of Liberals, and liberals, everywhere. “Alfred Deakin was Australia’s greatest prime minister,” Robert Menzies declared in 1965 while accepting Deakin’s papers on behalf of the nation. Since then, however, Deakin has gone out of fashion and out of mind. In this engrossing and quietly profound biography, Judith Brett brings Deakin back into Australia’s contemporary political imagination, so we can better understand how he shaped the country we live in today. In some respects, the charming, charismatic and unfailingly courteous Deakin belonged to another world. He represented the foundational but now discarded policies of tariff protection, state paternalism, centralised arbitration, imperial nationalism and the racism of White Australia. But, Brett writes, “It is not to the policies he supported that we should look for his achievements but to his statecraft”. Brett nominates Deakin’s determination to focus on policy rather than party as the core of his legacy. “For Deakin, the centre was the place where politics connected with Australian lived experience and with the nation’s needs,” she writes. Repeatedly, he “positioned himself between conflicting forces and sought the harmonious middle ground”. In this age of increasingly polarised politics, Brett’s book is at once a warm portrait of a great politician and a sharp provocation to today’s leaders to forge a better way. Scott Morrison’s book list: what should the prime minister read this summer?